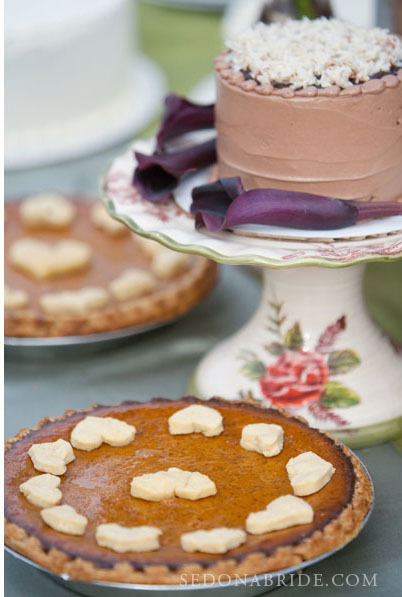 his country fair wedding I designed for Kate & Norm a few years ago is still one of my favorites. It was a perfect October day to get married. 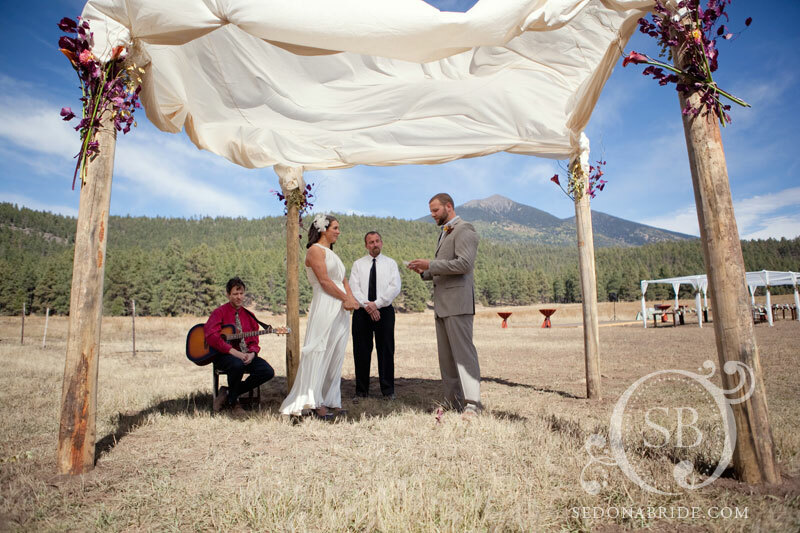 The couple who were both hotshot firefighters met on the job, so it was only appropriate they have their ceremony and reception at the Hotshot Ranch with it’s picturesque views of the San Francisco Peaks. 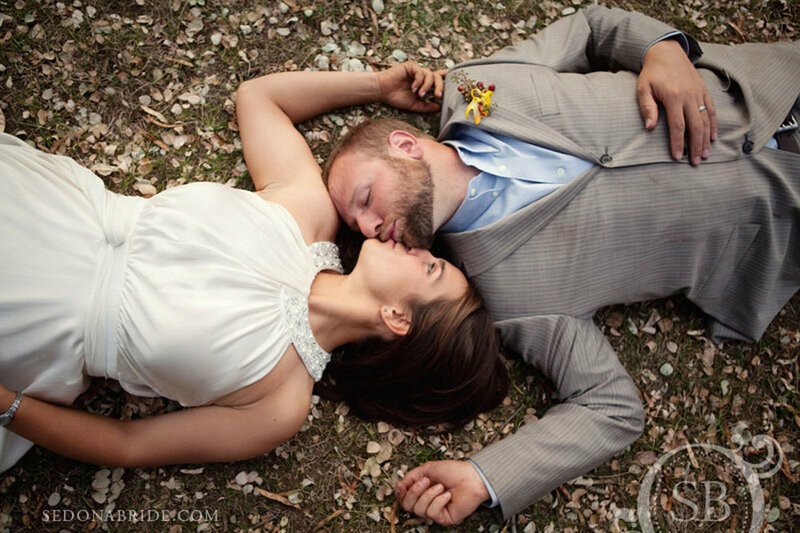 Kate & Norm really wanted a fun a and casual event. 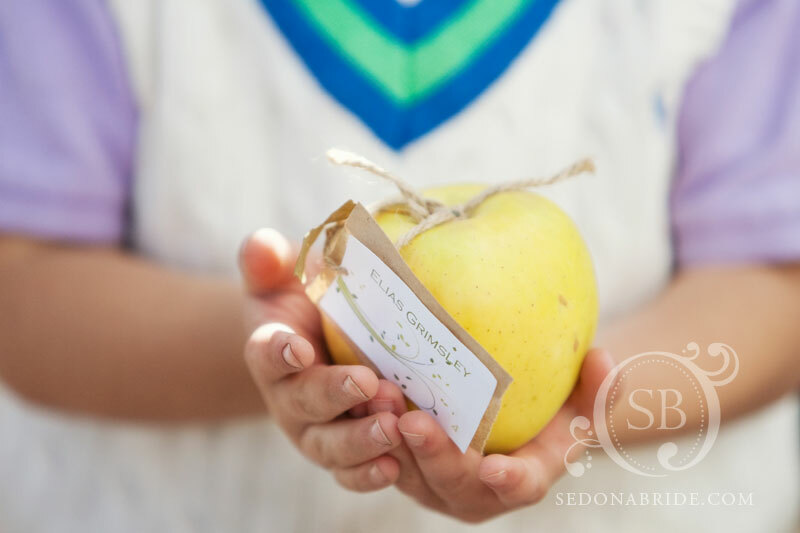 We achieved this by using long family style wooden tables, mason jars, homemade pies and organic freshly picked apples that doubled as a snack and a place cards which I made from recycled lunch bags. 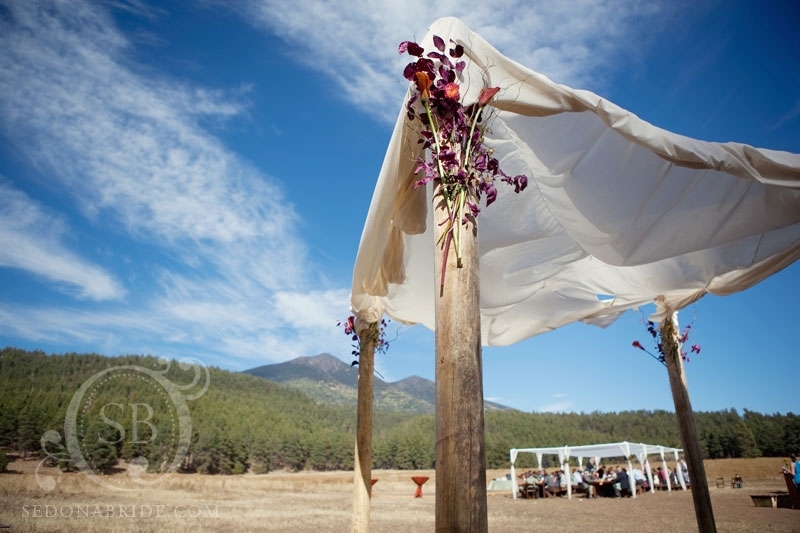 The entire day was captured in detail by the ever so amazing Katrina Wallace & Andrew Mejia of Sedona Bride Photography.